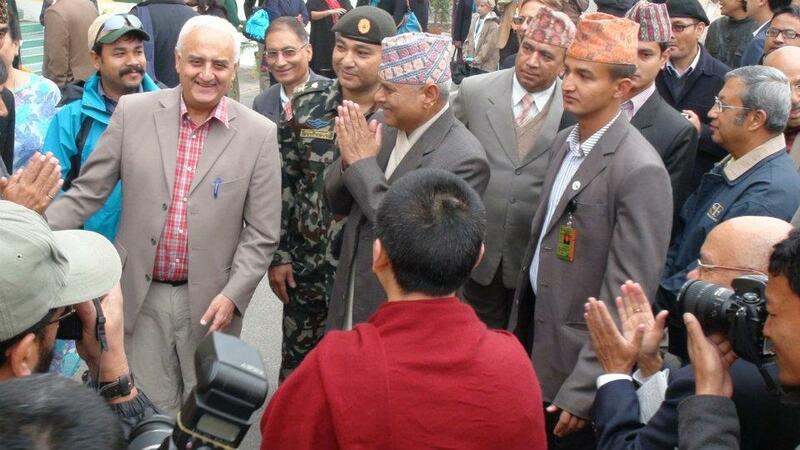 After his near miraculous recovery from a spinal injury in 2001, Kanak Mani Dixit, a prominent journalist and civil rights activist in Kathmandu started Nepal’s first Spinal Injury Rehabilitation Centre, together with friends and family. The Centre, inaugurated by the late Sir Edmund Hillary in 2002, runs entirely on private funding. It now needs to increase its service from 38 beds to 51. 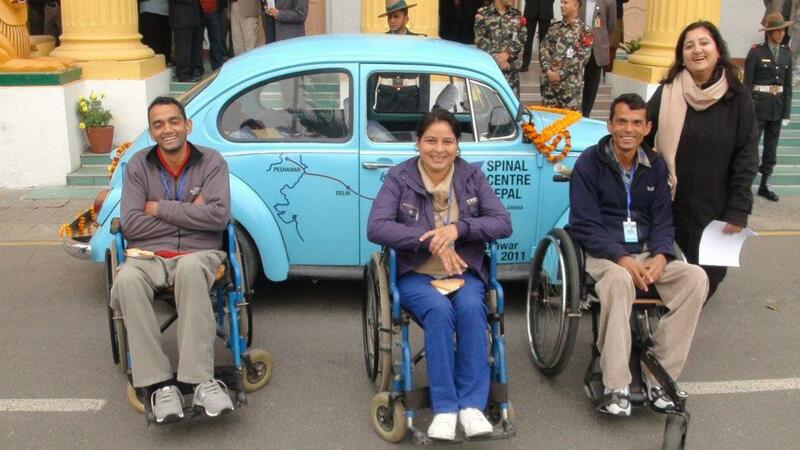 “The Great Nepal-India-Pakistan Spinal Beetle Fund-raising Drive” (1100 miles) – and all for a good cause – is being made on a 1973 Volkswagen Beetle, raising funds at USD 100 per mile. Nov 4th – Departure from Kathmandu. The drive heads forward from Kathmandu towards the Nepal Tarai. Arrival at Bhairahawa. Nov 5th – Arrival at Lucknow, India. Drive towards Delhi on 6th. Nov 7th – Arrival at Delhi via Agra, visit the Indian Spinal Injuries Centre at Vasant Kunj, New Delhi. Nov 10th – Arrival at Amritsar, then towards to the Wagah-Atari border. Nov 11th – Arrival at Lahore, Pakistan, visiting Mayo Hospital. Nov 14th – Arrival at Rawalpindi, visiting the AF Institute of Rehabilitation Medicine Rawalpindi (approval awaited). Nov 16th – Arrival at Peshawar, visiting the Paraplegic Centre at Hayatabad. Nov 17th – Departure from Peshawar.